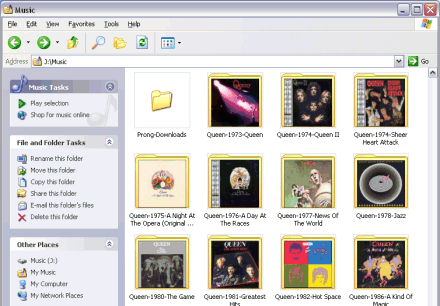 Now my Queen album MP3s are easier to find than when they were all in yellow folders. 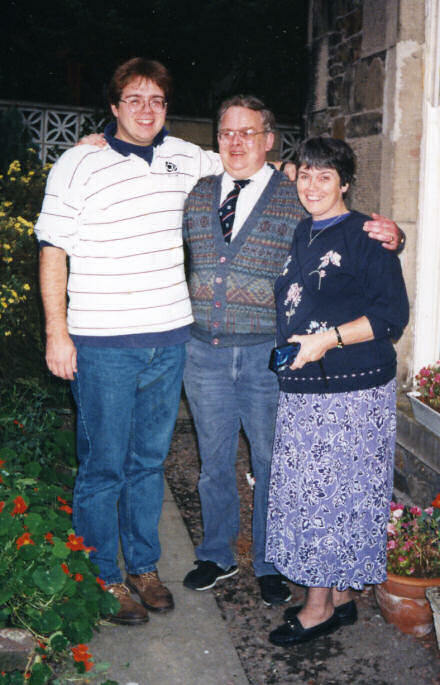 Today is the eighth anniversary of my Dad’s death. Keith John Saunders, born in Nottingham, 12 February 1945; died in Selkirk, 4 January 1998 at 23:50. 0:41 Dad is notably worse and we’re back on shifts. He is going into rigor â€” where he shakes due to infection. His temp is about 102Â°F. I cried quite a bit this evening, and said my goodbyes to Dad; I told him that I love him, that he’d been a good Dad and that I’ll miss him. It was important to me that I did that. Mum came through [to the living room] and said that she thought that I ought to come. I went next door to see Dad take his last few breaths and he died at 23:50. We cried, prayed and then Eddie and I went up to see Jenni and bring her down in the car. Thankfully our friend James was in and he volunteered to look after Benjamin while Jenni came down with us to the house. It’s [now] 3:34am and I’m just into bed. The next few days are going to be busy with funeral arrangements, returning medical equipment, telling people, making phone calls, etc. Eddie and I need to make a trip up to Edinburgh to collect our suits. I’m too tired to think straight. 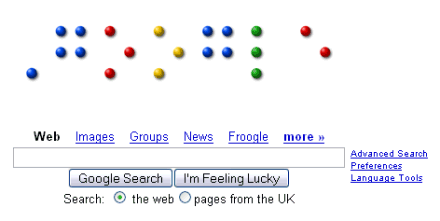 In some ways it feels like a hundred years ago, and in other ways it feels like yesterday. I wrote quite a bit in the weeks and months after that, about the grief process, an observation of how I was. 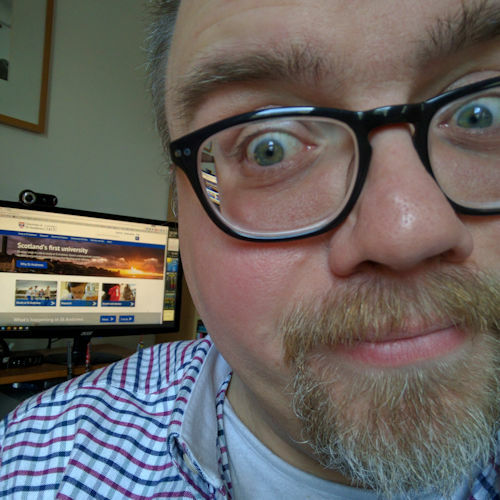 I’ll publish it on my website some time once I’ve redesigned my site. A really odd thing happened shortly after Dad died. I was at Edinburgh University at the time, studying for my M.Th. and while I was there I met with an old friend from my St Andrews days, Simon Shepherd. He invited me round to his flat in the Old Town one day. The instructions were simple: find so-and-so close (a ‘close’ in Scotland is like a narrow alley), round the back, up the stairs, ring the bell. 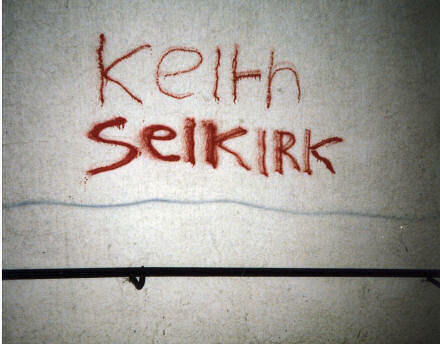 Two words: ‘Keith’ and ‘Selkirk’. My dad, Keith, had just died, in Selkirk. To this day I have no idea what they meant, and why they were grafittied onto the wall of an Old Town close that led to the flat of an old friend of mine from St Andrews. I’m just glad I had my camera on me. 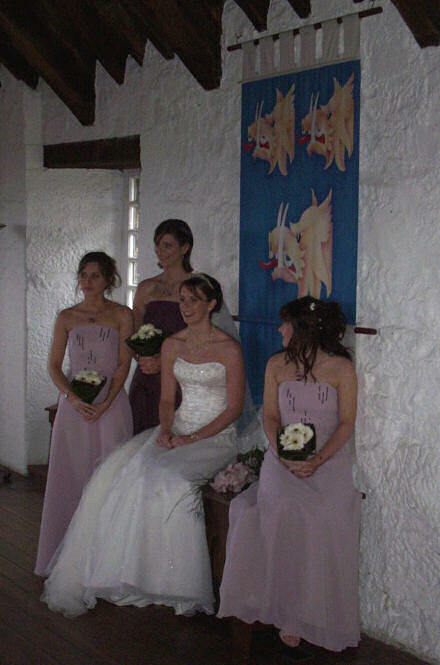 I’ve found some photos from Jane’s sister Susan’s wedding last August, including the one above, which at the time I said would forever be called “The bride with three warthogs”. … and three beautiful bridesmaids! 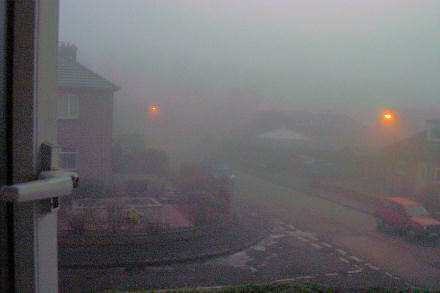 The (lack of) view from my study window at 16:15 today. It’s been a freezy, foggy kind of a day here in Edinburgh. I went out to church this morning at 10:30 this morning only to discover that not only was the car still frozen, everything else was too. It was -3°C. And it’s been much the same all day. ForecastFox has told me all day that the temperature has fluctuated between -2°C and -3°C. Although it’s also told me that it’s raining. Which is itsn’t. It’s just foggy. Jane is still out there. So I’ve placed a candle in the window … and I’ll just have to wait until Captain Ahab gets home before I … oops! wrong blog. Posted on Wednesday 4 January 2006 Thursday 14 December 2017 Categories GeneralTags EdinburghLeave a comment on What the fog? !